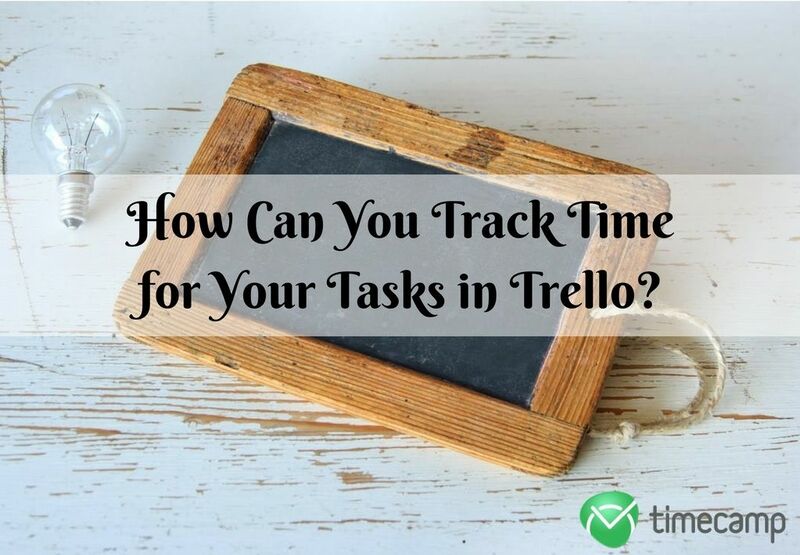 Home » How Can You Track Time for Your Tasks in Trello? Have you ever used a board to remember all your ideas and tasks? Well, it needs a certain amount of space on your wall so you can hang it. Also, one board is usually not enough. Fortunately, there is a software that requires only a tab in your browser, to help you organize every single task. Its name is Trello! 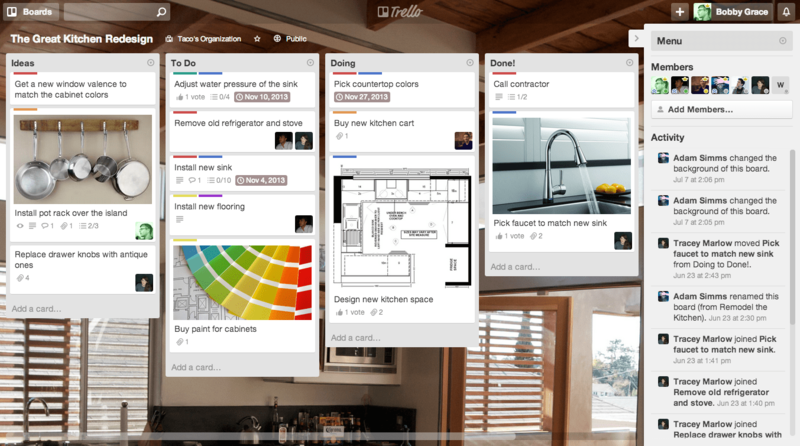 Trello is an online tool that replaces traditional notes on your wall. Every important information that you have to save for later you can just pin to its interactive board. It’s a great project management software for individuals and teams. TimeCamp offers integration with Trello. Together, we are helping you manage your tasks and time even more effectively since 2012. Create timesheets for Trello and accurately estimate time of every task. Not a problem! How to use it? It is very easy. Trello organizes your projects and ideas into online boards. You simply need to look at your screen to see what you are working on and what you are planning to do. It can be anything – from your shopping list or vacation plan to the launch of a new product or campaign. A board is the biggest unit. Each board is built of lists which can be considered tasks. The lists contain cards – these are our tasks, subtasks, and ideas. You decide the structure of your Trello. You can share tasks with as many friends as you want, for free! Start a discussion, add to it files straight from your PC, Google Drive, Dropbox or One Drive and send notifications to your friends, inviting them to join in. You can set notifications to come via e-mail, desktop, browser and to your mobile devices – they are all synchronized. The Calendar allows you to quickly check your tasks and important dates. Everything in Trello works in real time! You don’t even have to refresh your board. You can group everyone and add them to particular teams, create as many teams as you wish. Trello works on anything – Apple products, Android products, smartphones and smartwatches, tablets and browsers. The sophisticated search engine allows you to find or filter information in the blink of an eye. Trello is simple and easy to use, you will never get lost in it. And if you require more options, you can always turn on our add-ons and personalize your board. You can create tabs and write comments in them via your e-mail; you don’t even have to open Trello. Your data is safe with us, we use the same technology as banks. And it provides a back-up in case you lost your files or have them deleted. If you need even more functionalities, you can always upgrade Trello to Business or Enterprise version. First one costs 9.99$ per user and second is determined individually. Trello is a very useful software but it can be something much better with proper integrations. Below, you will find some of the most popular integrations for this tool. Enhance your Trello and boost your productivity! Once you synchronize your Trello and TimeCamp accounts, everything gets easier! It enables you to track time spent on each task, plan your work more accurately and even estimate the project’s profitability. You can import all the categories from your Trello boards into TimeCamp, it is simple and fast. TimeCamp time tracking desktop app allows you to control the time you dedicate to the project. Once they are linked, all you have to do is to select Trello boards that you want to import and all the tasks will be automatically synchronized to your TimeCamp account offering even more effective time management. You can effectively measure time spent on tasks allocated to Trello cards with the TimeCamp + Trello Power-Up to increase your productivity! Track any ideas or projects that you find online by adding them to Trello board. It is really a useful tool. Using it does not take much time to practice. But first, you have to authorize your Trello account here. After that, you will have only two buttons to choose from, hit the Make it! one and your bookmarklet is ready. Add it to bookmarks and next time you click it any page you are currently on will be turned into a Trello card. Available for Chrome, just install the extension from here and you got it in your browser. Now you can add tasks directly from your Gmail to Trello. How? Well, really easy – the extension adds to the menu bar of your email an extra button called ADD CARD. When you click in, an extra panel will pop-up, enabling you to choose to which boards or lists you want your e-mail to be sent. Designed for Mac users, Tab gives an instant access to Trello directly from a toolbar. After adding it, we can use Trello faster and more efficiently – create boards, and tasks, drag and drop them, even set hotkeys. Go here and try it for an easy Trello access from your Mac browser. Punchtime offers an application for both iOS and Android as well as browser extensions available for Chrome and Safari. It will track project time of your Trello projects and provide an analysis of each. It is a well-built, powerful extension and what’s great, totally free! Just go here and see for yourself. Use Trello to manage your website or blog thanks to Websites for Trello. Every action you want to perform on your site or blog can be done directly from Trello and it will be upgraded in real time straight from Trello’s board. You can even start a blank blog by creating a new board at Trello. Whatever you write with Websites is being sent to Trello and saved there for you to use in the future, so even if you decide to stop using Websites, you do not have to worry about any loss of information. To sign with Websites for Trello, check out this simple and quick tutorial. This guide is so exhaustive, didn’t even know that tracking time in my favorite project management software can be such a piece of cake!